Plenty of accountants consider themselves wizards of Excel. But can your local Master of Macros use a Microsoft spreadsheet to post journals in Xero or Intuit QuickBooks Online? A long list of apps and tools have promised to replace or “kill” Excel. Google Sheets has picked up many fans since its launch eight years ago because it was the first to offer simultaneous editing by users in multiple locations. But Excel is proving that it’s not just a tool, it’s a platform, and one with a lot of life left in it yet. Lance Rubin, CEO of Model Citizn and CFO of Sequel CFO, is a passionate advocate for Excel in this era of cloud accounting software – though he is quick to point out that he doesn’t see it as competition. “Everyone says, ‘I could build an accounting software with Excel’, and I’ve been guilty of that as well. But that’s not to say that you should,” Rubin says. Rubin was looking for a way to automate adding journals to Xero while working as CFO for Banjo Loans. He looked at different ideas for automation but realised that he was already doing the calculations in Excel then manually typing them into Xero. Why not push them directly into Xero from Excel? Rubin found apps that turned Excel into an automation engine for Xero – and not just for automatically adding journal entries. “If you take on a new client, you have an opening balance sheet, right? You then have to post each of the opening journals. And guess where most of that information is sitting? It’s still back in Excel. It’s probably from a MYOB CSV extractor or some other accounting system,” Rubin says. Rubin also found it easier to create a new chart of accounts for existing businesses. Instead of logging into Xero and clicking in and out of each account he can change account names in a list of Excel cells and push a button to update all of them. Rubin can also assign tracking codes and tracking information to accounts much faster through Excel than through Xero’s native screens. Automation is all the rage in small business accounting software. How come automation in practice management software has moved so much slower? Compliance requires sourcing many types of documents from different areas, often requiring clients to fetch themselves. On the other end, firms can slow down jobs by moving them through various levels of approval. In smaller firms, the work of managing documents, jobs, emails and billing occurs across multiple systems. Automating tasks across those systems hasn’t been possible. This is why the average job to complete a tax return is still about 23 hours, according to FYI Docs’ research. Cameron saw the potential of using an integration platform such as Zapier to trigger tasks across multiple applications. FYI’s goal is to use scripts running over several apps to reduce that compliance window to 11 minutes. This involves using algorithms to identify the content of emails, to systematically create, name and store reports and other documents, and to move and assign tasks between staff and projects. FYI Docs squarely competes with Karbon, a similar concept and tool co-founded by three former Xero executives, Stuart McLeod, Ian Vacin and John Freeman. The differences appear to be FYI Docs’ singular focus on becoming an open process automation platform that moves client data between an array of applications (like Zapier). Karbon has approached the same problem as one of communication and customer relationship management (CRM). Cameron says the firm has automated 30 processes and has a long roadmap of many more. “We have 12 months of glorious process automation coming up,” he says. The completed processes include monthly billing, onboarding clients, ASIC payments, annual statements and tax assessments. For the latter, FYI contacts ATO for a tax assessment, checks it with Xero Tax to see that it agrees, then brings it with the resulting file and metadata into FYI. It then creates a templated email to send to the client. FYI can run custom processes across Xero (blue client file) such as running a defined set of reports to support Xero Workpapers. The reports are saved in the customer file in FYI as links to Xero. FYI can automatically capture documents from Dropbox, Google Drive or Microsoft OneDrive and file them in FYI, eliminating the client request goose chase. All activity in FYI is tracked in an audit log. A slightly more unusual automation identifies negative sentiment in client emails. If a client complains to an accountant about fees or quality of service, FYI will instantly notify the partner. “The interesting observation is how much the world has moved onto emails, and how they’re all sitting in everyone’s inbox and unstructured,” Cameron says. “They are a very rich source of information but also a risk as well,” he adds, referring to Australia’s recent royal commission into banking. FYI has been designed specifically for firms running on Xero Practice Manager and brings together document management and CRM, and process automation. The platform is not a standalone practice management solution, or at least not yet. Xero Practice Manager handles all the task management, time and billing. Xero also acts as a central database for clients and staff. To technologists, Cameron explains FYI as a combination of Microsoft Office 365, (document management), Hubspot (CRM), Asana (task manager), and Zapier (process automation. “This is the fourth time that I’ve built this product,” Cameron says. In 2006 Cameron sold a document management solution to MYOB called Level 31 which helped accountants move to a paperless office. That took seven years to build and sell (starting from 1999). Cameron stayed on for five years as MYOB’s global head of product strategy for accountants. He then left and built the management accounting tool Dovetail, “a combination of bookkeeping and virtual CFO”, which he sold to MYOB just two years later in March 2014. Then followed his second stint at MYOB as platform strategy manager for the company’s Accountants in Practice division. A chartered accountant for 20 years and a successful software entrepreneur twice over to MYOB. Why shift to its biggest competitor? “I was inspired by the Xero story,” Cameron says, citing its launch from Wellington, New Zealand into a billion-dollar powerhouse with a global footprint in just 12 years. It’s also clear that a good dose of pragmatism helped Cameron decide to focus exclusively on one accounting platform, and why this time he chose Xero and not MYOB. “When you work with a single platform your ability to onboard goes through the roof. Rather than doing all (practice management solutions) and having a crappy user experience across all of them,” Cameron says. As one of the first to market with cloud-based practice management software and the first to make it free, Xero swallowed a good chunk of firms in two key categories; early adopters and small to medium practices. These don’t pay as much for practice software as the larger firms on MYOB Accountants Enterprise. But it is easier for smaller or more entrepreneurial firms to switch to new products and they are more open to trying new things. According to Cameron, Xero is investing time and resources in helping Cameron bring FYI Docs to market as quickly as possible. Cameron has had deep access to developer teams working on the practice management tools including Xero Tax and Workpapers as well as Xero Practice Manager. Xero’s vision and delivery for practice management has been spotty over the past three years. It has launched excellent ideas such as Xero HQ. But it has failed on more pressing stuff such as better integration between Xero Workpapers and Xero Practice Manager, both acquisitions. Firms don’t pay directly for Xero’s practice management software so it’s not surprising that their development is not a priority. Is Xero supporting FYI Docs because it is doing what Xero could never afford to build itself? FYI Docs will be at Accounting Business Expo 2019 at Darling Harbour, Sydney, on March 20-21. You can register for a free ticket here. Rob Cameron is presenting two session at the expo, details below. Xero’s brand new CEO, Steve Vamos, has just marked off his first Xerocon in the big seat. The one question on everyone’s mind: How would Vamos compare to founder Rod Drury, the charismatic technologist who created a global brand in seven short years from Wellington, New Zealand? There was keen interest among 3700 attendees to find out what this unknown outsider had to say. 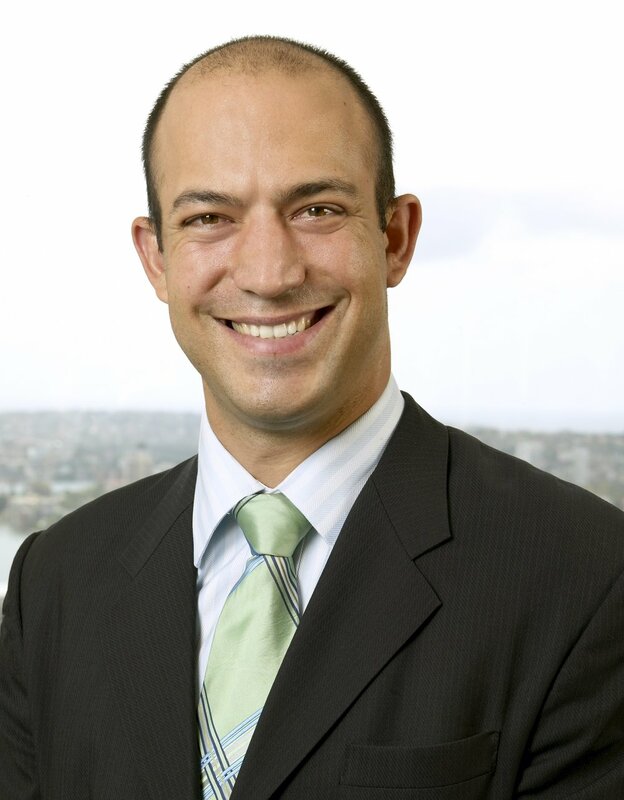 While he may be unfamiliar to accountants, Vamos is a legend in Australian technology circles. Vamos cut his teeth at IBM for 14 years moving from sales to general management before working with Steve Jobs in the earliest part of Apple’s late 90s comeback. Vamos ran Australia and New Zealand and was managing director of Apple Computer Asia Pacific. Vamos then led a joint venture between Microsoft and Australian media giant PBL called ninemsn, a media portal similar to Yahoo that pioneered online advertising. He left to be CEO at Microsoft Australia for four years before stepping up to vice president, worldwide sales and international operations for Microsoft’s Online Services Group. In that role Vamos was responsible for Microsoft’s operations in 30 countries. This latter experience was one of the reasons Xero’s board gave for picking him to be CEO of Xero. To paraphrase, the company needed to switch from product-focused startup to a global juggernaut managing growth in multiple markets. This, at least, was the official reason. If Drury has a Jobsian fascination with technology, Vamos’ passion is people and culture. The Xero corporate value #human was mentioned a lot of times in keynotes and clearly has already affected decisions on the tech roadmap (more on that next week). I had a brief interview with Vamos. In it he revealed a useful empathy for accountants in their journey to advisors; Vamos has worked as a business consultant for several years and states that domain knowledge isn’t necessary to providing effective advice. Digital First: I know from your time with Microsoft that you know the conventional IT distribution channel, resellers as a channel and so on. And you know how far away accountants are from acting as SME software resellers – 99 percent of them, anyway. That top 1 percent who do recommend and install apps, do you think they’re representative of the future of accountants? Is it necessary for them to become solution providers to small businesses, just because the software ecosystem connects to accounting software now? Vamos: I think accountants are solution providers. The question is, how does their scope of involvement evolve to provide more? The more connected small business becomes through technology, and the more we take out a lot of the grunt work involved in connecting things, does it make (setting up software) seamless? And so I do see a phenomenal future for accountants in evolving more into coaches for small business. I’ve done business coaching over the last ten years. I can tell you, it’s not about the domain. It’s about asking basic questions about how you’re working and how you’re thinking. So I do see that happening. And it is happening. There’s some great videos that I started watching the other day of accountants talking about this. About the impact they’re having on small business. I should provide you the name of the accounting firm that’s speech it is. A kiwi firm. But I think there’s more. And these guys are almost tearing up, around how they just asked a small business that they were working with, do you think you can do better? Or more? He said, well, maybe. They said, well, what about this target? Why don’t you go for that? And he did, and he exceeded that target. So I do think it’s going to happen. And it’s happening. Digital First: I’ve had some business coaches, some terrible ones and a few good ones. How can you ensure that you can help accountants become good coaches? Vamos: Well, first we have to be clear about what do you mean by coaching? Coaching is so well defined in sport and other endeavours but it’s not well-defined in business. So sometimes people get coaching for personal stuff such as, “How am I thinking?” The kind of coaching I’m talking about is an objective outsider asking you the basic questions about why you are doing what you’re doing and how you’re doing it. And how you think you could be better. I’ve actually done this for a living, for part of my portfolio life. It’s fascinating. I’ll give you an example, I’m going to use this in my keynote tomorrow. The question is – how do you rate, out of ten, the performance of your organisation? Usually I ask the leaders, so it might be only a couple of people, but you ask them, out of ten, rate your performance to your potential, with what you have today. The score you get back is usually six, six and a half. You go, what’s stopping you being better? 80 percent of the time it has nothing to do with what business they’re in. It’s, we don’t communicate well. We’re doing too many things. We haven’t got the right systems in place. We’ve got the wrong person in the role. And you say, which one is the one you want to tackle this month? So you say, let’s put an action plan in, just fix that. Let’s have another meeting next month. Did you do it? So to me, it’s coaching about the why and the how, not coaching about your life journey. That’s a very different sphere. Digital First: Moving on to the software itself. Recent changes around Xero Expenses prompted a lot of concern that Xero’s looking for ways to increase the average revenue per user (ARPU) by monetizing standard features. From the comments I read on various places, Xero Expenses took some of the native expenses functions and put it into a separately paid app. Digital First: What assurances can you give people that Xero’s not going to spin off every part of it, say invoices, will this become Xero Invoices with an extra per user price? And also with paying subscriptions every year, Xero needs to do more to justify it being paid the same price. Xero’s obviously doing that, but the price is still going up. We are seeing elements becoming commoditized. When AI machine lending, when that came out, that was something magical and new. And now it’s as a service on AWS, which you guys are on. Digital First: So what assurances can you give around price? Vamos: Yeah, look, I’ll give you a few principles and we can maybe just touch on a couple of things to do with expenses. This has been a new thing for me, I’m not as proficient as others on some of this stuff. Principle wise, the biggest asset Xero has on its balance sheet is one you can’t see. It’s the word-of-mouth love customers and partners have for us. Every time we do something that upsets them, we pay for it, whether we see it or not. I genuine believe everything we do should be about building that community and love for Xero. And that’s a philosophy, that’s a principle we have. For me, when we look at how we evolve, we have to make sure that the value equation is one that our customers appreciate and accept and understand. So that’s the bigger principle. Now, at the most basic level, it then comes down to what’s your approach to pricing and packaging. I think we learned a lot with the roll-out of Expenses. We actually ended up rectifying a couple of things that we thought, after the fact, that we could have done better. For example, the old version is now going to be around longer, because we felt that the transition we provided was not as effective as it should have been. I think we also included some basic functionality in New Zealand, because in different markets we’re doing slightly different things. In New Zealand we’re bundling Xero Expenses into our (standard) offering. In Australia, we’re giving a certain number of free or included Expense usages into the product. We learn a lot, and we listened a lot to what people said. At the end of the day, though, the measure is do they feel they’re getting value for money. That’s the focus we have to have, is make sure the customer feels good about that. Vamos: Well, I would hope we don’t end up doing things that are cute. I mean, we should do things that are done for the reasons they’re intended, and they should stack up. We have a very active community, and when they don’t like what we do, they tell us. I think there are basic functions – I’m not going to go charge you extra for invoicing as a feature. But the whole point here is that as we evolve and our app ecosystem grows and what we provide grows, there’ll be a whole range of variations on what we price and package in different forms. That would be silly of us not to develop that and evolve that. Digital First: But how do you justify, I mean Australia and New Zealand are in many ways part of the same country, really. How do you say Expenses are free for you but that you’ve got to pay for them on the other side? Vamos: You can justify differences in different countries – as long as the customers in those countries feel they’re getting value. Like in the US, we’ve stopped building US payroll, we’ve got a partnership with Gusto, we’re going to market with Gusto. Why? Because that market is different. So, there will be differences from market to market. But the principle at the end of the day is, are customers getting value? If you look at the ARPU Xero has, versus many of our app partners, you think, Xero’s pretty reasonably priced. Digital First: Yes, but there’s a big “But” to that. When I started covering Xero in 2011, the promise from Rod was to all these developers, you can ride our coattails. We’ll be building a great market for you, and this is how you get rich, is by tapping into our market. And Rod’s (Drury) advice, a couple of years later was, you need to start charging more with ARPUs as a reflection of a much smaller customer base. Vamos: You know, that’s true. And I’m happy for them, I think it’s great. But I think again, and the only thing it comes down to is, are customers getting value for money. Do they feel that? And do you treat them in a way that demonstrates their importance to you? And they’re the principles. I think we know with Expenses we could have done better. We acknowledge that and we changed it to reflect that. Digital First: Even with partners, this is a really interesting point that you bring up, because there was an initiative to start charging the top 10 partners in the ecosystem for API access. And that quickly fell over due to blow-back from partners and so on. So there’s a concern that Xero has encouraged this ecosystem and is working out which ones it wants to bring in-house and bring in that ARPU for itself. Like Expenses, HubDoc and Receipt Bank probably has some pretty strong feelings about that. And some interest would be this move to a global API. Is there going to be some kind of charge on that, where there wasn’t before? Vamos: That’s a good question. I’m not sure exactly how Ben’s thinking about that, but Ben Styles is the guy to talk to about how we’re going to go there. First of all, app ecosystem partners versus other commercial relationships we’ve formed can be quite different. Vamos: You don’t look at everything the same way. It comes down to, what is the commercial outcome of what you’re doing? We have to balance, there’s always balance. The thing is, unfortunately the world is not altogether black and white. You’ve got to trade off between a whole bunch of different dynamics. What do you build, what do you buy, who do you partner with? It might be all one thing. It’s managing those subtleties. And fundamentally, managing those subtleties just means really caring about the people that you affect, your customers and your partners, and what you do, in being able to stand behind the decisions you make as being fair. It’s about growing up and maturing. So, things will change. And we’re going to be extremely open. We’ll stay open as a platform. We want that, because we know the energy that comes to us through that. I could imagine that when they did the numbers (to charge for the API) they said, why would we suddenly disincent people to become our app partners when it adds to our overall business? So there could be some commercial things that we do down the track with other partners where we’re all benefiting financially. And how we allocate that revenue is secondary to (whether) this new thing we’re doing together, is it representative of more value to the customer we’re serving? Vamos: That’s a good point. If you look at fiscal year 18, we saw what we call new revenue streams and platform revenues around 3 percent of our total revenue. And it grew by 90 percent. Digital First: And what did that consist of? Vamos: It consisted of a few things. There was payments, lending, and probably payroll, in a few markets. If you look at the journey we’re on with the financial web, I think bank feeds is almost like the platform. And what we’ve seen is that we’ve got the bank feeds to over 100 banks. And what we want to do is accelerate that because once you get through that process where you’re linked, then there’s a whole bunch of conversations that we can initiate. But also they’re (asking) how they can get better access to the information that’s in Xero so that they can speed up the process of lending for small business, and improving that process. And then payments on the platform, we’ve got relationships with Square and PayPal and others where, you know we’re still taking payments on the Xero platform. And there’s commercial relationships around that. I think it’ll be small for a while, but it’ll grow fast. And exactly how big and how fast, I couldn’t tell you today. Digital First: The global API’s a key part of that. Vamos: Oh yeah, because at the end of the day, the critical thing is to get those feeds, get those connections, and then from there you’ve got a discussion. Relationships that you can start to build on. Digital First: Fantastic, Steve. Thank you very much.